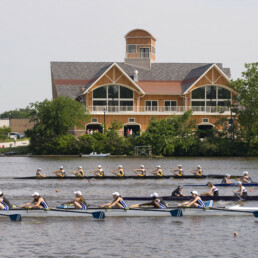 The Camden County Boathouse at Cooper River is the quintessential setting for recreational and competitive rowing. 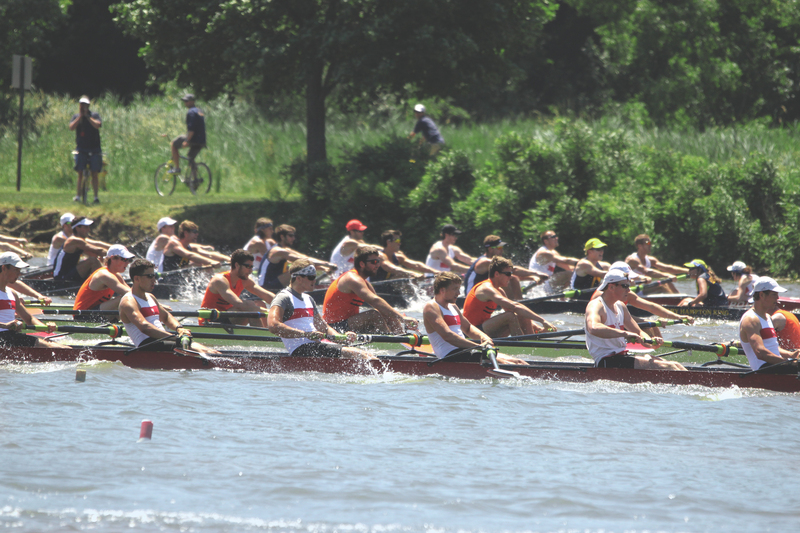 Cooper River is an ideal water venue praised by athletes and international rowing experts for its sheltered, narrow, six-lane, 2,000-meter race course. 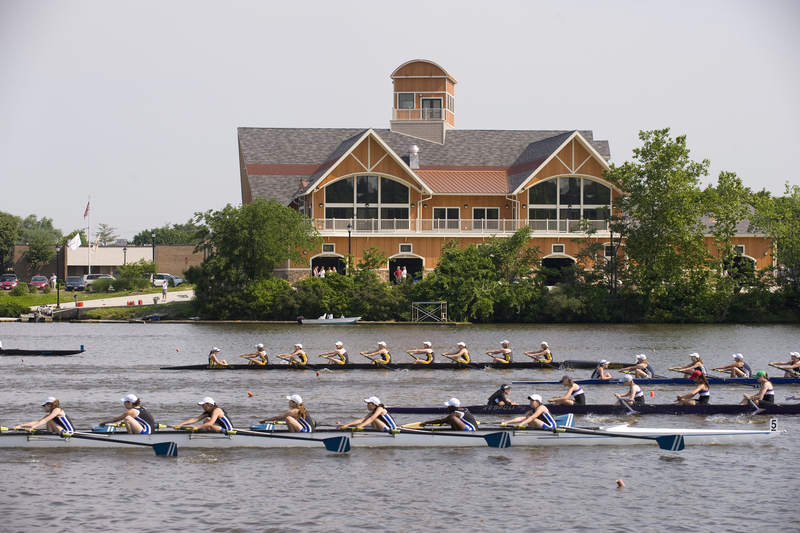 Cooper River Park has hosted numerous state and national rowing events, such as the IRA, NCAA, and the SRAAs regattas, in addition to many local high school, college and masters regattas. 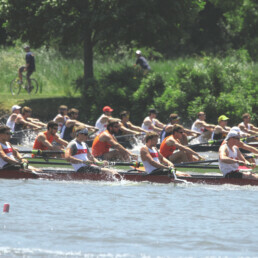 The Boathouse features six boat bays for storage of close to one-hundred racing shells. 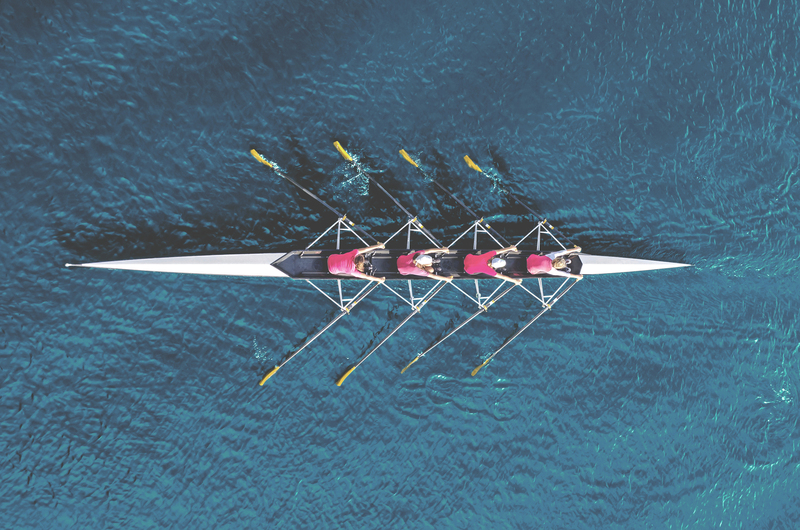 It houses seven local rowing clubs that train daily on the Cooper River, ranging from middle-school-aged to adults in their senior years. Daily rowing on the Cooper started in 2001 with one-hundred area rowers, and that number has now grown to more than 400 rowers practicing every day. Anyone interested in storing rowing shells at the boathouse must be an active member in a club on the Cooper River. There is an annual Public Lottery to store single or double seat boats at the boathouse. The lottery is held in December each year and good for the following calendar year. 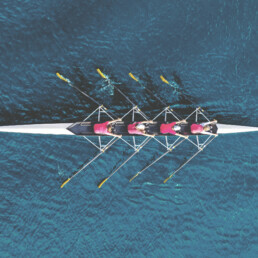 Rowing Clubs will be permitted four free uses of a meeting room per year for club/board/parent meetings (2 hours per meeting), and unlimited use of the training room when available for coaching purposes only. There is an annual Public Lottery to store single or double seat boats at the boathouse. The lottery is held in December each year and good for the following calendar year. Anyone interested in storing non-rowing shells (canoes or kayaks) at the boathouse. Camden County welcomes all these clubs to Cooper River.